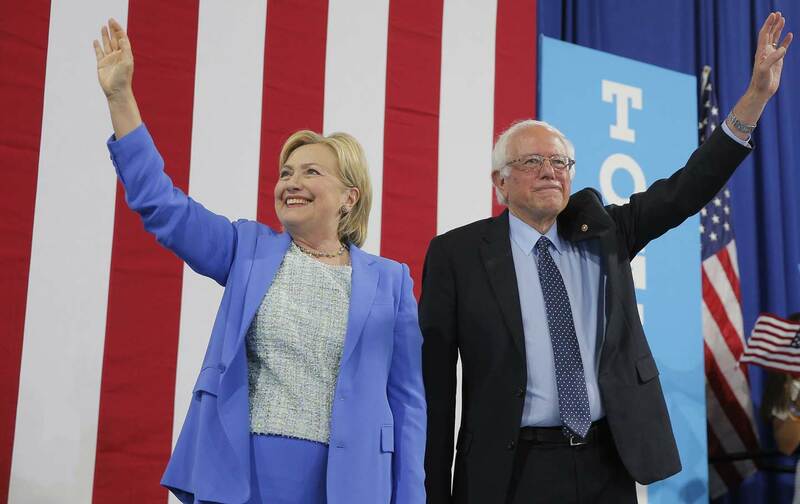 Reformers applaud her pledge to move on an issue that’s been a priority of Sanders backers. St. Louis—More than 700 American communities and 17 states have demanded federal action to amend the US Constitution in order to overturn the Supreme Court’s Citizens United decision, which knocked down barriers to the buying of elections by multinational corporations. Now Hillary Clinton says that, if she is elected president, she wants to lead the charge. As it happens, Clinton’s video was prepared for a crowd that included lawyers from groups, such as Free Speech for People, who have been developing plans to bring such cases. But the candidate’s highlighting of the need for a constitutional response to the crisis of big-money influence over elections and governance is especially important, as she is embracing the bold and direct approach that has been championed by grassroots activists who have worked with the Move to Amend and Democracy Is For People campaigns, among others. Those activists have demanded a 28th amendment that makes it clear that corporations are not people, that money is not speech and that citizens (and their elected representatives) have a right to organize elections in which their votes matter more than billionaire dollars. A commitment to make constitutional reform a high priority, and to start early in a new administration, is vital. Constitutional amendments initiated at the federal level must gain two-thirds support from the House of Representatives and the Senate, and then must secure the approval from state legislatures in two-thirds of the states. But there is a more immediate reason Clinton’s stance is significant. Like many top Democrats, Clinton was initially more cautious in her language—saying last year, “We need to fix our dysfunctional political system and get unaccountable money out of it once and for all—even if it takes a constitutional amendment.” Additionally, Clinton’s approach to fund-raising for this campaign, with its focus on attracting high-dollar donors, has stirred concerns and inspired protests outside some of her more expensive events. But, on Saturday Clinton told the Netroots crowd, “I’m looking forward to fighting alongside you, and Senator Sanders, in the weeks, months and years to come.” And the candidate who almost a decade ago was the target of attacks by the right-wing group that was at the center of the initial Citizens United case was offering specifics about how she hopes to advance the fight for fundamental reform as the next president of the United States. With the commitment to a timetable for promoting an amendment, and especially with her decision to announce it at the Netroots session, Clinton sent her clearest signal yet on the issue. And that signal was celebrated by activists who have worked for many years to raise the profile of the amendment movement.